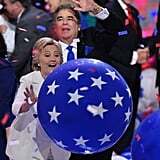 This look of sheer glee can only be described as "kid in a candy store." 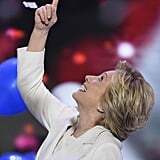 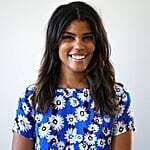 The Democratic National Convention wrapped up on Thursday night in Philadelphia with electrifying speeches from Chelsea Clinton, Rep. Joyce Beatty, and presidential nominee Hillary Clinton. 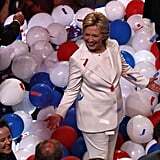 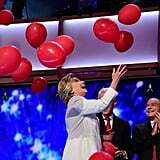 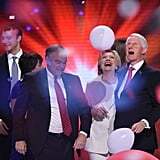 After bringing the crowd to tears with her history-making moment, Hillary joined her family and running mate Tim Kaine for what may have been the most epic balloon party that a political event has ever seen. 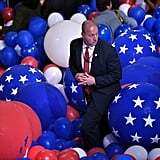 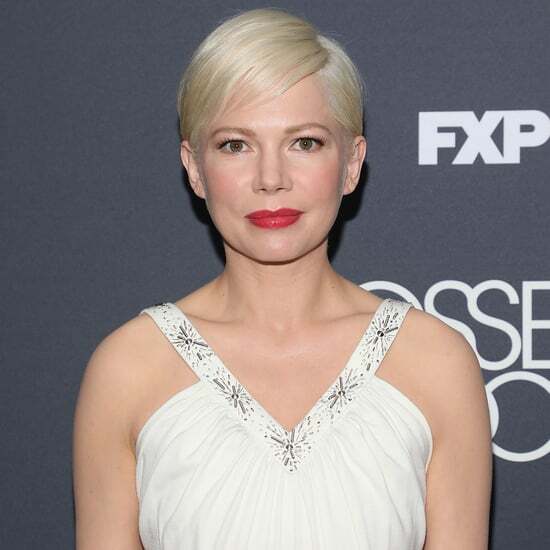 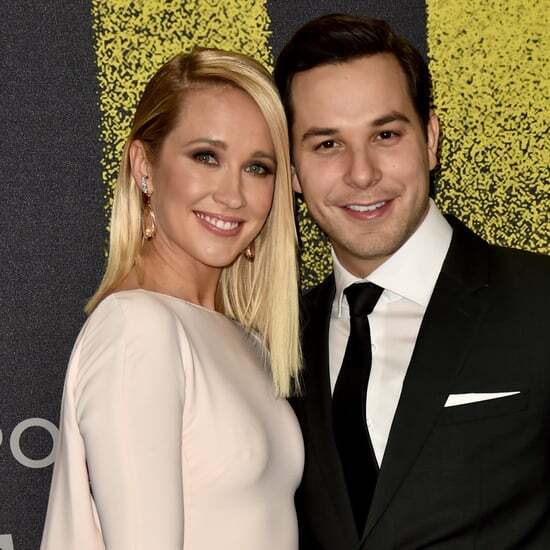 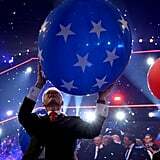 Seriously, we don't know what kind of budget was set aside for those giant, star-spangled balls, but they were amazing — and everyone in the Wells Fargo Arena was going nuts. 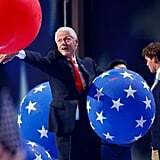 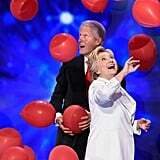 Perhaps having the most fun was former President Bill Clinton, who was living his best life while chasing the balloons around on stage, kicking them into the audience, and even snagging one for himself as a souvenir. 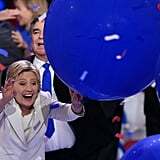 No matter which side of the aisle you're on politically, you have to admit: there's no better way to celebrate shattering the glass ceiling than by acting like a kid in a candy store.